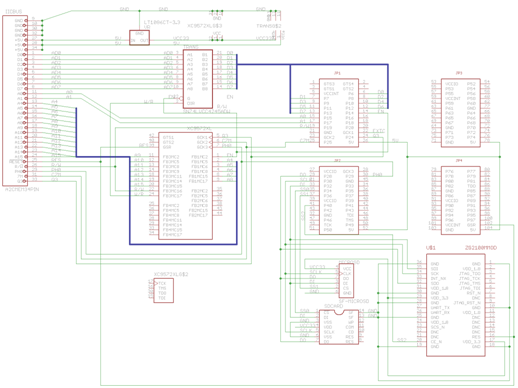 SPI/SDCard status– I am able to read blocks on both a 32MB and 128MB MMC card. I am also able to read block 0 on a 1GB MicroSD card (have not determined the issue reading other blocks yet). I have not been able to properly init communications to a 4GB MicroSD card. These are what I have on hand to test with at the moment. I have started on a simple RAM resident ProDOS block driver to make it easier to test both reading and writing. 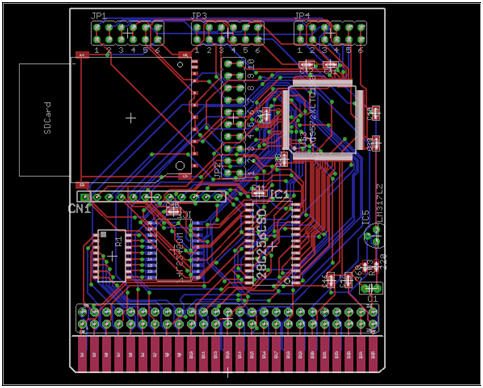 SRAM Status – I have been considering some feedback given on comp.sys.apple2 to my project. One suggestion from Michael Mahon was to ditch the Slinky emulation and support Ramworks (Z-ram for example) style AUXmem augmentation. This would make it compatible with more software and free up the ROM space of the Slinky driver for use by a SDCard ProDOS block driver. So the next steps as I see them are to 1) get the existing slinky hardware working rock solid on the //c+ so I have a good foundation in which to try and implement the AUX style memory interface. 2) add support for AUXmem override. That usually happens with me over the summer .. not much gets done in the hobby space as we are outside enjoying the sunshine … or trying to … it was quite the rainy summer up in TO this summer. 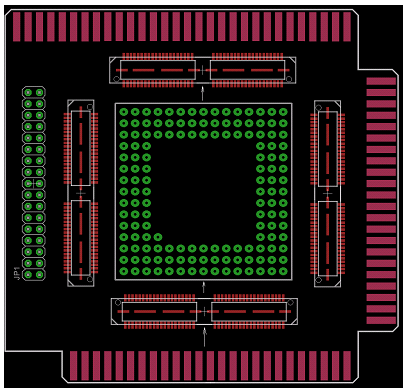 Uthernet update – I have just received another shipment of modules, so some back orders are going out. I have been advised that the module I use is being discontinued. In the short term I plan to stock upon another 50 modules. That should hopefully see me through a decision on what to do next. //cmxp update– When the ball went bouncing down the road back in May, I was stuck on a glitch that still has me scratching my head …. This appears to be random but perhaps my analyser sample isn’t large enough for me to see the big picture. Something is causing the data-bus to load up with all FF’s prior to it settling down on the vaule i actually want to write and that somehow triggers the address counter to increment prematurely. I have been staring at timing diagrams trying to make sense of it. Clearly I now have to figure out whats different with the IIc+ from a timing perspective as far as this glitch goes .. at least I know what I have works so far and that’s a step in the right direction. Bring on winter … it’s back to Apple ][ land. To carry on my journey from last time …. I figured out from the Slinky ROM listing, that the diags are expecting to read the values back from the registers used to setup the SRAM addresss. My code to that point was only setup for write access only. So I started to modifiy the code to be able to present this info back to the Apple //c bus. What was odd and continued to drive me nuts over the course of a few weeks was that while the code seemed to work in the simulator and combintorial outputs worked on the real hardware, I could not get the ‘reg’ outputs to drive the sram address lines. I tapped Andre’ LaMothe and Alex Freed for advice but it just would not work. I eventually replaced the CPLD with another one and then it started seeing some signs of life …. after some more experimentation and a few more notes back an forth I have gotten it to work with full read/write of the registers and post increment on the data read/write port. Diags will run but bomb out intermittantly at randow addresses where a 00 is written during one of the tests and a FF is read back. That’s the next thing to track down. The odd thing is that I can put the the original CPLD back in the circuit and it functions okay… so I am really not sure where I went wrong but it sure gave me an oppertunity to wrack my brain. The logic analyzer was invaluable …. worth every penny. So once I got the system booting again, I was able to successfully program the XC95108 with the jed file I programmed. Next I tried executing the diag code for the memory card @ c40a … it failed with an address error … so thats where I will start my investigations .. I will put the logic analyzer on the Apple side to start to make sure the CPLD is getting all the signals properly … then once I have determined that I will put the probes on the sram side to make sure the ram is reacting properly. I have 3 prepaid orders to fill and then a supply of 28 cards available for sale. Anyone on my interrested parties list should have gotten a note from me. Also I am half finished wiring up the 5v SRAM interface for the IIc. Hope to try that out in a few days. If anyone knows of a PCB assembly house that will do microBGA or CP scale packages for a reasonable price then please drop me a line.